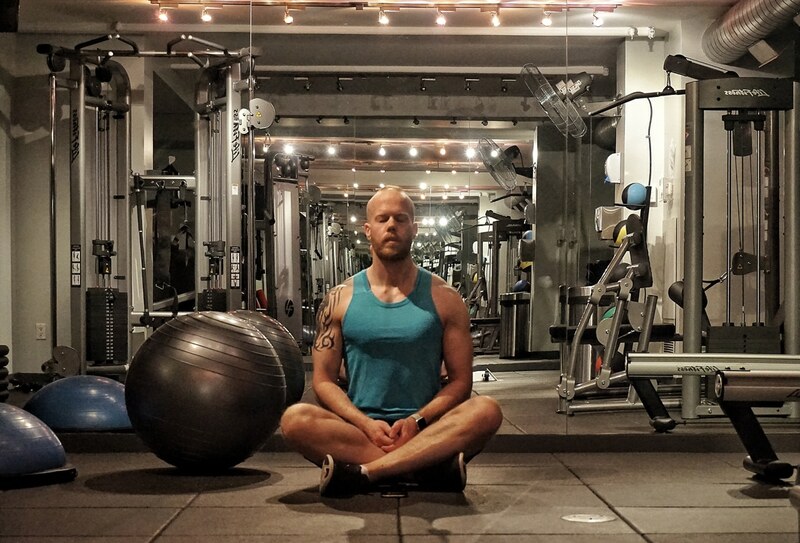 With Summer just a stones throw away, it’s that time of year when I like to examine what I want to get out of my physical activity and time at the gym. Spring is when I start to clean up my diet (eat healthier and remove some of the wintertime comfort food from the menu), start taking agmatine sulfate supplements and look to lean up while building muscle. This means adding cardiovascular activities and conditioning workouts to my regular routine. If you’re like me, you’ll want to be able to track the metrics of your workouts. I love looking over the data and using the information to improve my body and performance. 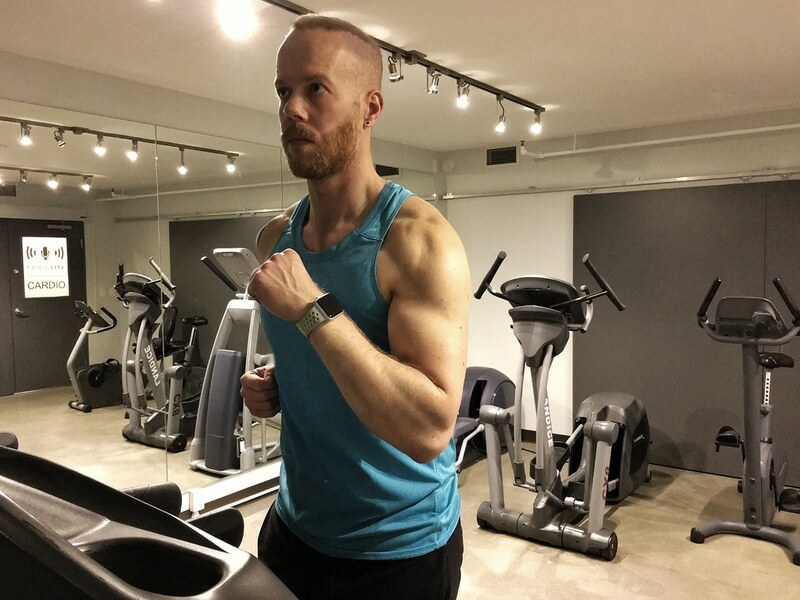 I’ve tried several options, from the Jawbone UP Band to the Nike Fuel Band but none quite captured results with the accuracy I was looking for. I needed something that wasn’t just a pedometer or a cardio-tracking device. I needed something that would track the types of activities I was doing, even if it was just lifting weights. As with most products that Apple produces, leading up to one of their announcement events, there was a great deal of speculation. Inside sources and media were whispering that Apple was looking to enter the wearables market. The specifics of which were still a mystery. What would it be? What would it do? Then came September 9, 2014, during the announcement of the iPhone 6, in which Tim Cook channeled his inner Steve Jobs in a one-more-thing-esque moment and revealed the launch of the Apple Watch. This revolutionary wearable was more than just a watch. It was an extension of the iPhone and a fitness buddy. At first, people struggled with the idea of the Apple Watch – unsure of why they needed one. This was a problem shared by lots of wearables. Soon more apps were developed and the Apple Watch became more visible out in the wild. It was clear that this device was here to stay. In October of 2016, Apple Watch Series 2 was launched and included a special Nike+ version. The newest iteration overcomes some of the limitations that were holding the original device back from being a true fitness companion. Series 2 has a built-in GPS to track distance, pace, and route – even without having your iPhone with you. It is water resistant to 50 metres which means that it can be used for tracking a wider variety of activities (yay for swimming!). It has a faster processor and a much brighter display so it’s capable of handling all the fitness you can throw at it. The Nike+ Apple Watch even comes with a durable, lightweight fluoroelastomer wrist band that not only reduces weight but also improves ventilation via compression-molded perforations. As someone who switches between 3 gyms (my gym at work, my condo gym, and my neighbourhood gym), it’s a bit more difficult to keep track of my progress as I’m constantly having to use different equipment and work around other gym goers so anything I can do to keep things organized makes my workouts more efficient and effective. When my Apple Watch Series 2 is paired with my iPhone, I feel like I’m really making strides in my fitness and health goals. It’s not just the hardware either, WatchOS 3 really opened up the watch to 3rd party developers and allowed Apple to improve it’s own offerings as well. As a result, I’ve found a core set of Apple Watch apps that I couldn’t imagine doing without. This is perhaps the most important app of the bunch. Native to Apple Watch, Workout is the basis for tracking your activity. It determines the time spent, distance, pace, heart rate, calories burned, laps – basically all the metrics you need to track your performance. The watch face can be tailored to show you the information you need for a variety of activities you can choose from including indoor/outdoor runs, walks, swimming, cycling, elliptical, rower, and more. The accelerometers work with the heart rate monitor in the watch to give you accurate details (or even pause your running when you stop at a red light!). This app will help make fitness more fun. The Activity app, also native to Apple Watch, turns your physical activity into a game of sorts. This app will show you your progress towards reaching your goals by breaking them into 3 rings. One tracks your Move goal (the number of active calories you are aiming to burn in a day), your Exercise goal (the amount of time you want to be active in a day), and the Stand goal (the amount of times you get up and physically move around). You can set up your regular watch face so that you can always see the Activity rings at a glance and you can even share them with friend, family, or your personal trainer. The app lets your receive notifications reminding you that it’s time to get up to make your goal. Reaching your goal completes the ring and can you earn you badges for reaching various milestones. This can often give you the motivation to get moving, even when your couch is calling your name. With hundreds of illustrated exercises available and the ability to add your own this is my preferred app for tracking my gym workouts. I’ve tried many over the years but Reps & Sets has proven to be the most reliable and easy to use. You can create your own workout programs with super sets, drop sets, pyramids, and specify order, sets, reps, weights and rest intervals. 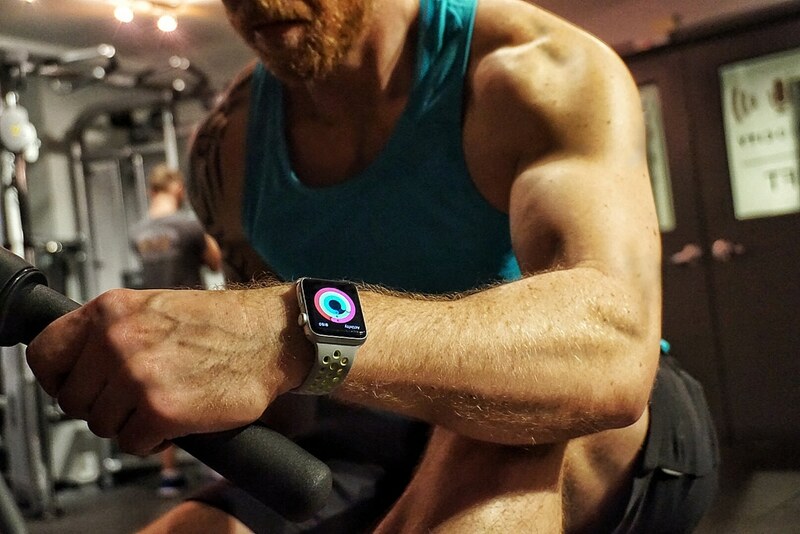 Once your program is set, just start the workout and open it on your Apple Watch so you can focus on your workout without worrying about distractions on your phone. This app works with the Activity app and feeds into your rings for the day. Reps & Sets also offers the ability to share your programs with others so when you come across one that you like you can let them in on your winning formula. You can even view charts showing your progress or export your data to Excel or Numbers. The Nike+ Run Club app is a great alternative to the Workout app for tracking your runs. Whether you’re just beginning or you’re a seasoned expert, you’ll want to have this on your iPhone and Apple Watch. The Nike+ Run Club is more than just an app, it’s a community of fitness experts and neighbourhood running clubs. With groups of like-minded people, the iPhone app and the Apple Watch app, you’re on track for success. It has all of your most important data in one place and with a swipe you can get even more details. There’s also run scheduler to remind you of upcoming runs. All the details can easily be shared with friends and on social media. With the ability to take pictures directly in the app, your run-selfie game will be strong. One of the biggest impediments to fitness success is stress. It makes us turn away from good eating habits, affects our sleep, and provides us with excuses to take the day off from running or skip that workout we were going to do. The Breathe app, Native to Apple Watch, is designed to monitor your breathing, and as a result, help to reduce the stress that’s holding you back. The focus of this app is on mindfulness and meditation. It coaches you through breathing sessions of 1 or 5 minutes with soft taps on the wrist, forcing you to focus on your breathing while monitoring your heart rate to help bring you back to a place of calm. Reminders notify you throughout the day to take those moments to relax and reduce the stress that may be stopping you from being the best you that you can be.